Eventually your buyers are going to conduct an inspection. You may as well know what they are going to find by getting there first. AmeriSpec will come in and inspect the home. You then have the opportunity to fix the defects prior to the buyers inspector seeing them. AmeriSpec will then come back (included in cost) and reinspect the corrected items and generate a report with corrections in it. AmeriSpec will also include a 120-day limited home warranty from American Home Warranty with the inspection. You have the time to get reasonably priced contractors, or make the repairs yourself, if qualified. The report might alert the seller to any immediate safety issues found, before agents and vistors tour the home. 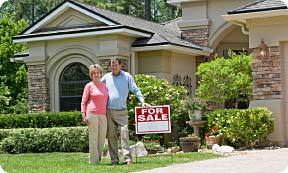 A seller's inspection permits a clean home inspection report to be used as a marketing tool. A seller's inspection lightens negotiations and 12th-hour renegotiation.